This post is published in the November edition of the UKEDchat magazine. Across the globe an ICT skills gap has been acknowledged and many countries’ educational policies have been changed to include coding in the curricula to close that gap. So, too, in Korea. Critics suggest that the change in Korea is happening too slowly and that the children learn coding too late. However, what has come out in the conference but also in the conversations I have had is that Korea is consciously choosing to not just blindly follow others, but to consider other countries’ experiences, to reflect on the own country’s needs and requirements and to develop a robust strategy. By looking to the implementation of the ICT curriculum in UK’s primaries South Korea is able to pre-empt some of the issues teachers are facing in UK schools. I explained what teachers had said in surveys and my own research work in relation to the implementation of the ICT curriculum: that teachers lack confidence, training, time and resources. The vice-minister of education immediately recognised the issues, and confirmed that budgeting issues often interfere with what would be brilliant strategies and innovations. Academics and ministerial officials are currently working on developing the South Korean national curriculum and assessment strategies. While I was in Seoul I was asked to provide some information on the formative and summative assessments in UK primaries. I explained how assessments are used to identify pupils’ learning and to monitor their progress, which was met by “this is so good”. But then I also talked about the league tables and their impact on teachers’ lives and schools, which was met by “oh, this is so bad”. It was acknowledged that a national assessment strategy is needed to allow for accountability and for observing learning, but that this must not tip into a mechanism and tool to bring about control and stress. While the relevance of science, technology, engineering and mathematics is recognised, the acronym is STEAM, not STEM in the Korean context. This is because the arts are playing a central role in the education and formation of children. Within the acronym “arts” stands for all creative and performing art forms and to a certain level body movement approaches are also included within the arts. Children’s happiness is at the centre of the current strategies within Korean schools and the key competencies that are central to the Korean curriculum are not literacy and numeracy for example, but aspects like critical thinking, self-management, emotional intelligence, communicative abilities. According to a new curriculum initiative, children do not have any formal lessons for the afternoons in one entire term, so that they can focus on exploring what they want to explore. So rather than being formally instructed in set subjects, pupils are focusing on their interests and learn by discovery and by completing individual projects. By introducing a semester of free learning it is hoped that pupils will develop skills that go beyond the usual, traditional learning, that are transferable across subjects and that will prepare pupils for the world of work in the long-term. 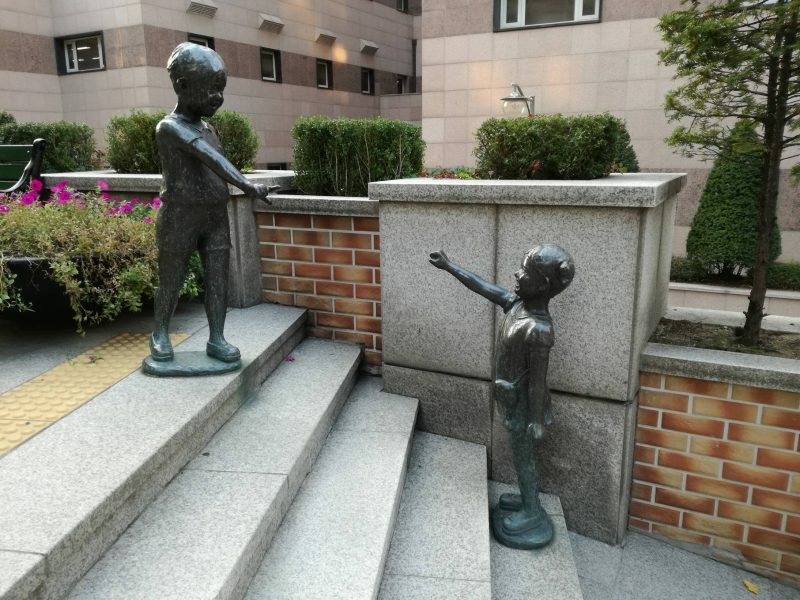 At the same time, by allowing personal choices regarding the topics that are covered, it is assumed that children will be happier learners, which in turn will be one measure to stop “school violence” – the Korean equivalent of “bullying”. What came out for me during my time in Seoul is that although I had flown half-way around the world, the concerns within education are exactly the same. We all worry about children’s well-being and learning, their happiness and employability, their skills and knowledge. Irrespective of where we are, teachers, educators and parents want the children to grow up to be responsible adults who will be solid contributors to society. The concerns teachers, educators and parents have regarding new strategies, the lack of finances, time and training are the same. Individual approaches may be different, the vocabulary may be different, but the end product we are working towards is the same. And so, I return to work, grateful for the many experiences and insights.